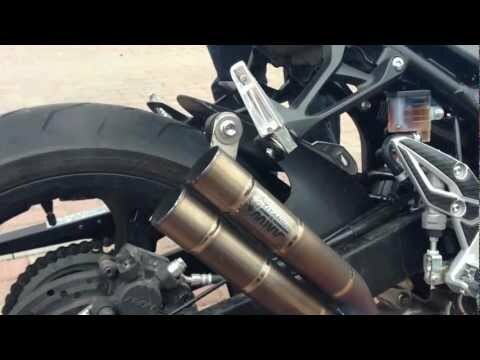 Much as we like our 2012 Suzuki GSR750A, we think it deserves a better soundtrack. The Red Power Serket Taper exhaust from British manufacturer Scorpion is a hexagonal cone shaped silencer. Significantly lighter than the GSR's standard exhaust, and gives a 3bhp power increase. It's e-marked and fully complies with European noise and emission regulations. Read the full review in the July 2012 issue of RiDE Magazine. Filmed using a Swann Freestyle HD action camera.